greeting cards Archives - OWOSSO Graphic Arts, Inc.
Inkery Road is a small business that focuses on calligraphy & hand lettering. Pictured is my Georgia greeting card from my “Home State Love” series. These are offered in greeting cards, art prints & tea towels. I plan to eventually make my way through all 50 states, & have completed a handful so far (Georgia, North Carolina, South Carolina, Florida & Alaska). My process starts out with a sketch where I get the lettering down first, then fill in the state with flourishes. After that, I take it into Illustrator to digitize it for printing. 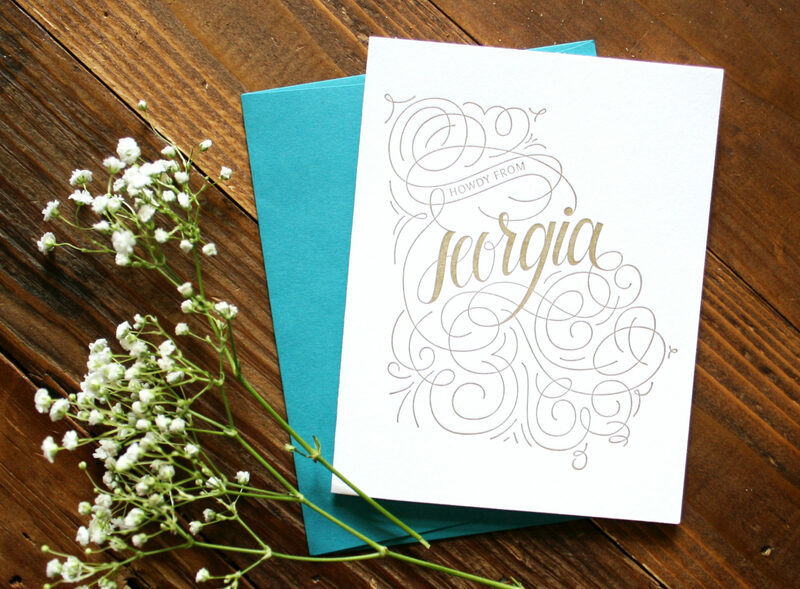 This Georgia greeting card is letterpressed with a beautiful gold ink & paired with a bright turquoise envelope. The greeting card version includes “Howdy from” and the art print & tea towel versions simply have the state name. 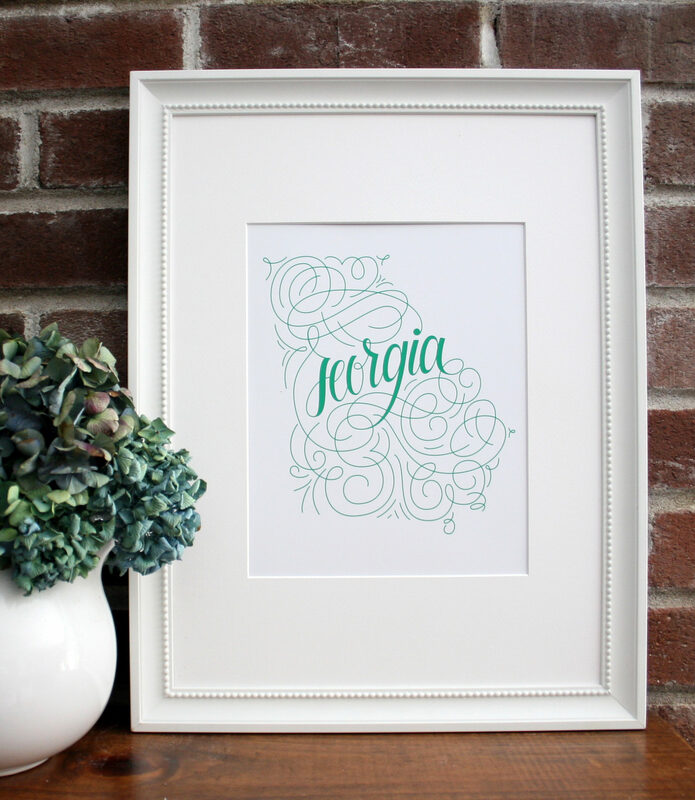 My Home State Love series is meant to be a reminder of where your heart & home are.